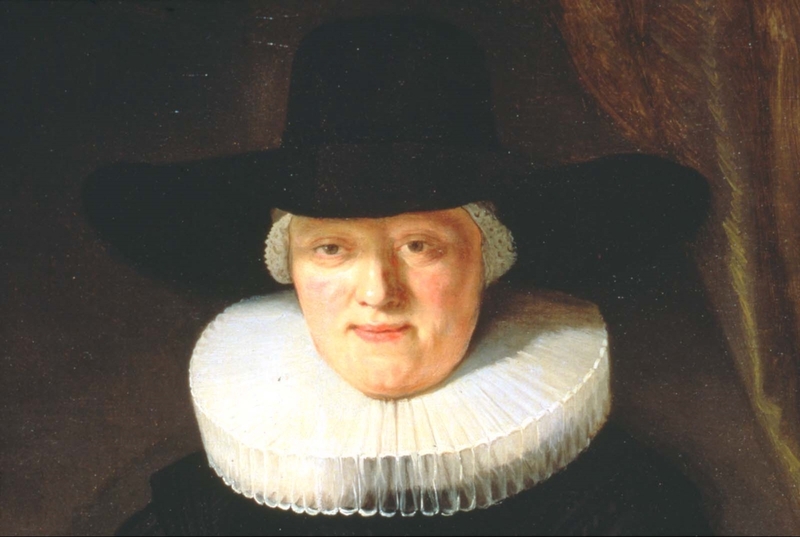 During his early years in Amsterdam, Rembrandt’s innovative and fashionable portrait paintings were a key factor in his growing reputation. Reverend Johannes Elison was minister of the Dutch Reformed Church in Norwich, England. 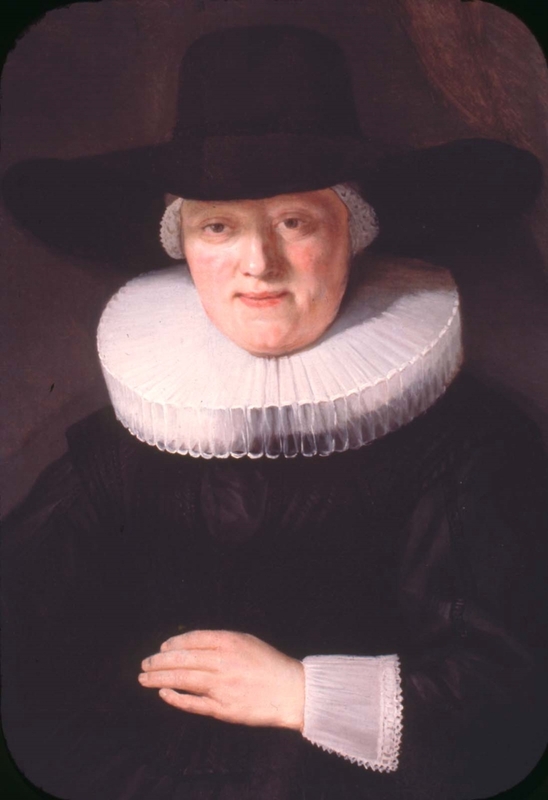 In seventeenth century Dutch society, Protestant ministers were celebrated public figures. The portraits of Elison (MFA object no. 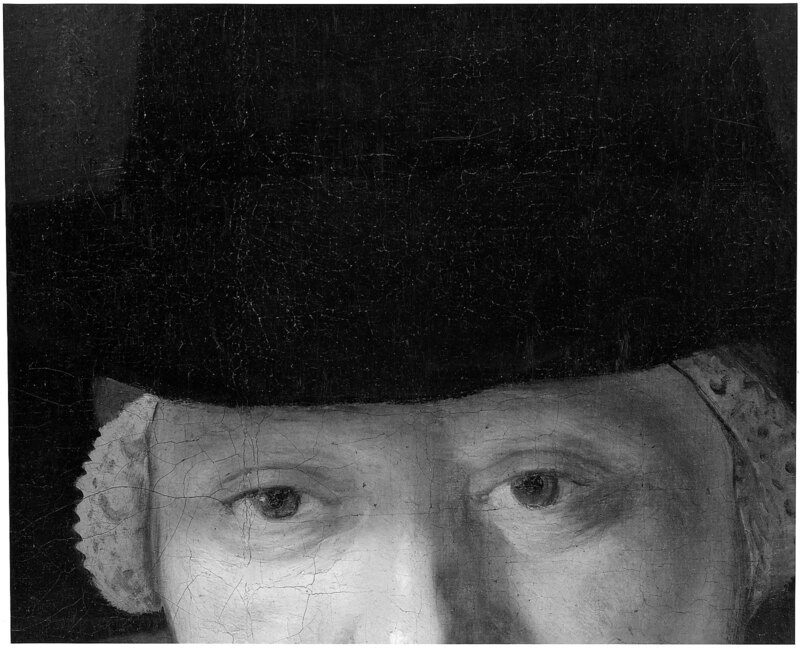 56.510) and his wife were probably commissioned by their son, a wealthy Amsterdam merchant. 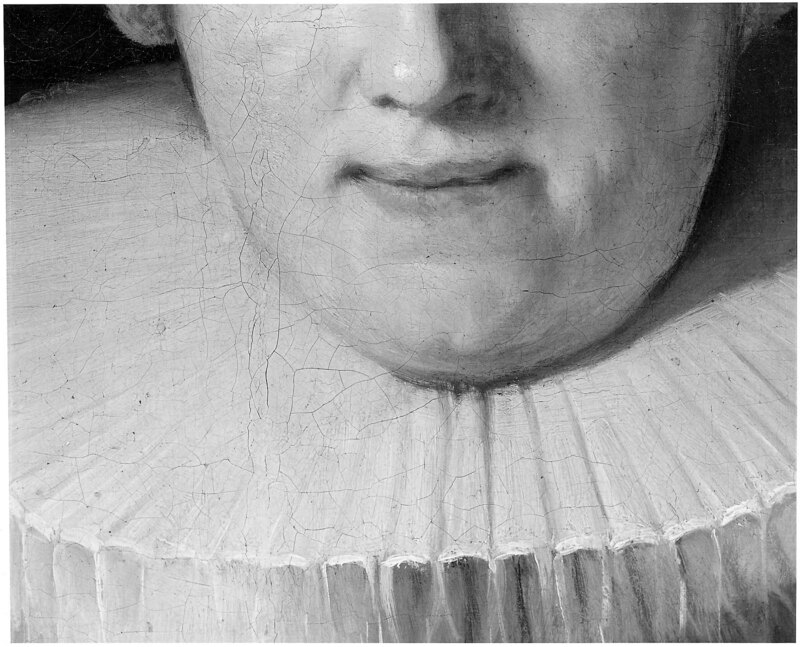 Such full-length portraits were substantially more costly than the more common bust and half-length formats. Rembrandt painted only three full-length portrait pairs, all about 1634, when he was trying to establish himself as an independent master. An English-language summary of the history of the portraits of Rev. Johannes Elison (b. about 1581 - d. 1639) and his wife, Maria Bockenolle (b. about 1590 - d. 1652), MFA accession nos. 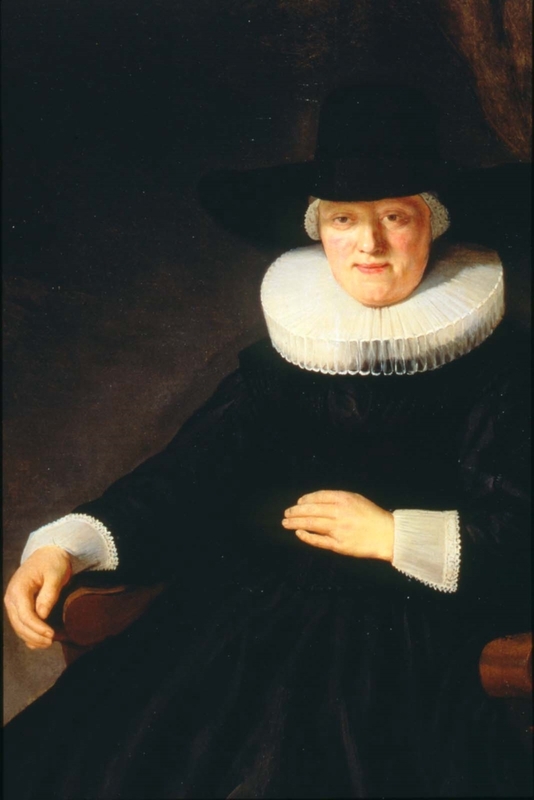 56.510 and 56.511, can be found in J. Bruyn et al., A Corpus of Rembrandt Paintings (Dordrecht, 1986), vol. 2, cat. A98, pp. 532-540 (with additional bibliography). 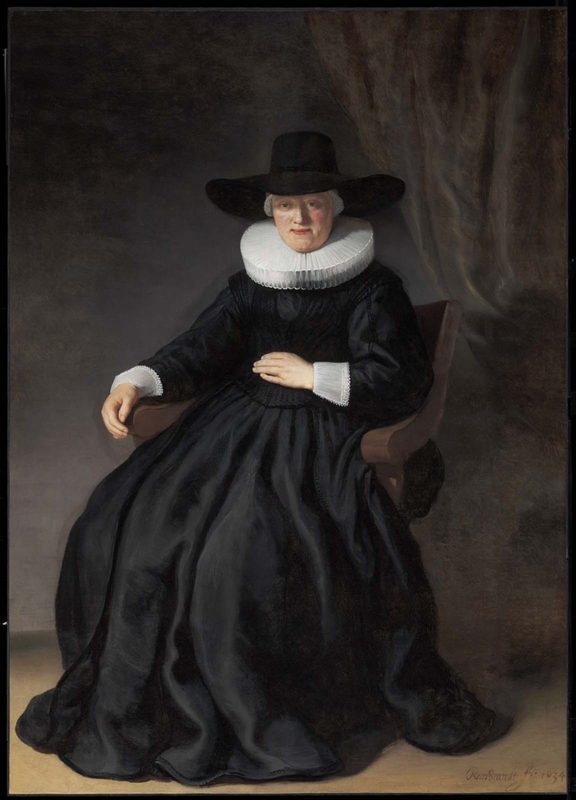 They were commissioned by the sitters' son, Johannes Elison the Younger, in 1634, and were bequeathed by him to his siblings. The two portraits were recorded in Yarmouth as early as 1763 by Horace Walpole (see Anecdotes of Painting in England, London, 1828, p. 5), and specifically in the Colby collection by Sylas Neville; see The Diary of Sylas Neville: 1767-1788, ed. Basil Cozens-Hardy (London, 1950), pp. 176-177, entry for August 26, 1772. The provenance was first published in the 1860 Colby sale catalogue. See the Art Journal (London), August 1860, p. 247. On Schneider's acquisition of the portraits, see W. B., "Deux portraits innommés de Rembrandt," Révue Universelle des Arts 18 (1863): pp. 357-358, according to which Schneider purchased them in England. C. Hofstede de Groot, A Catalogue Raisonné of the Works of the Most Eminent Dutch Painters of the Seventeenth Century (London, 1916), vol. 6, p. 310, cat. no. 645, states specifically that Fisher sold them to Schneider in 1863. According to a letter from Saemy Rosenberg to Thomas Maytham of the MFA (October 24, 1956). Henri's son, Eugène Schneider (b. 1868 - d. 1942), lent the pair to the Exhibition of Dutch Art, 1450-1900 (Royal Academy of Arts, London, January 4 - March 9, 1929), cat. nos. 83-84. The portraits of Rev. Elison and his wife were sold together for this price.